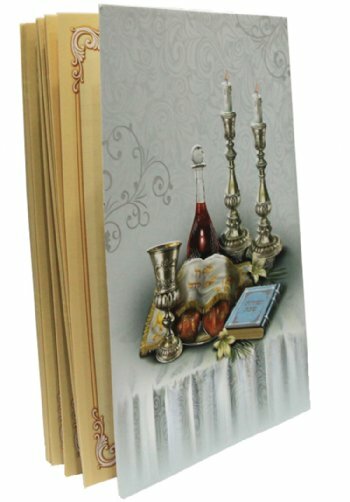 Large Birchat Hamazon with cover illustration of Shabbos table. This Bencher has got it all - from Hadlakas Neiros to Zemiros for Motzei Shabbos, Benching, Sheva Brochos, Al HaMichya and and Krias Shema. Size: Width: 5.11" Height: 7.4"